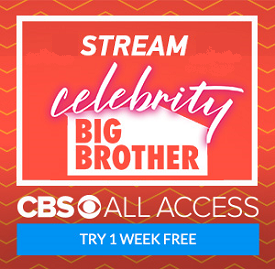 The Celebrity Big Brother contestants entered the house just over ten days ago, and the live feeds kicked in last Tuesday night. The real question is what happened before the feeds kicked in. What is the deal with Anthony "The Mooch" Scaramucci? Did he walk, or was it a pre-planned exit? Does Tamar really hate Kandi Burruss? Or is she just playing for the cameras? We chat about all of these issues, and so much more, including an extensive look at the first endurance comp of the season. And did an early morning fight really cause an extended feed outage? Big Brother Gossip Show Returns This Saturday!! !